The remains of a home from the early 6th century B.C. 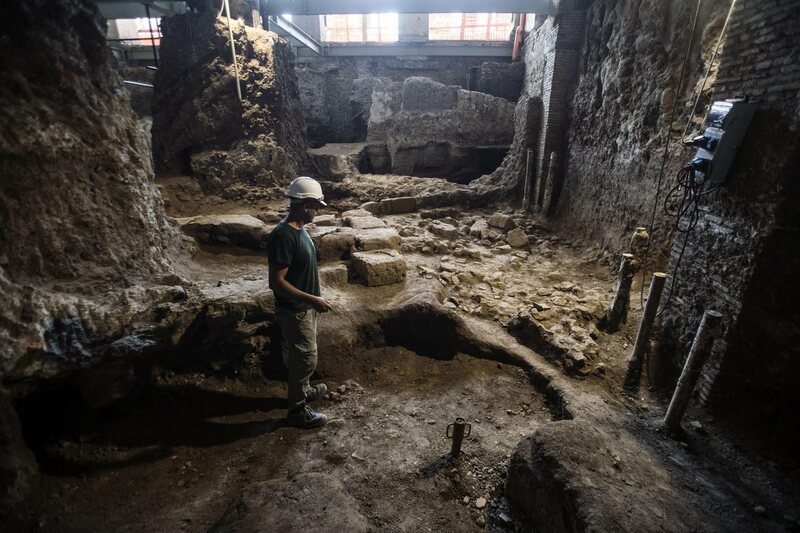 discovered under a palazzo on the Quirinal Hill indicate the archaic city of Rome was much larger than previously thought. Built during the putative reign of legendary sixth king of Rome, Servius Tullius (578–535 B.C. ), it is one of the most ancient homes ever found in Rome and is uniquely well preserved. The domus was built on a rectangular floor plan 3.5 by 10 meters (11.5 by 33 feet) with was divided into two rooms. The entry point was probably an attached porch. The foundation of the home was tufa, a soft volcanic stone Romans used to build everything from temples to the Cloaca Maxima. The walls were wood covered in clay plaster and about 10 feet tall; the roof was tile. Palazzo Canevari, built in 1885 to house the Royal Geological Office and its vast natural history collection, is on the Largo di Santa Susanna, close to a mile northeast of the Roman Forum. Just before the Palazzo Canevari was purchased by a real estate firm in 2004, preventative archaeological surveys began. 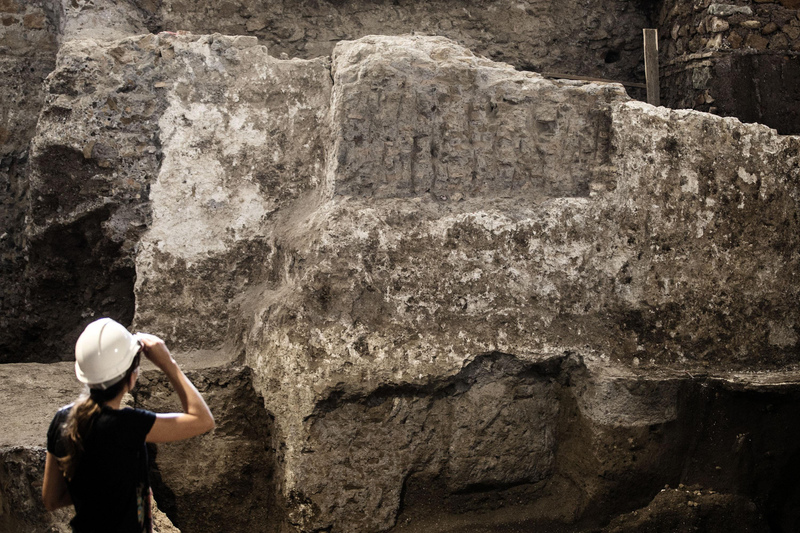 Initial excavations revealed a large block of tufa that was initially thought to be part of the Servian Wall, a section of which is still visible above ground in the Large of Santa Susanna. A 2013 excavation unearthed more of the structure and determined it was part of the walls of a large 5th century B.C. temple complex. Judging from the extant sections of the walls, the temple was at least 25 meters (82 feet) wide and 40 meters (131 feet) long, which would have made it one of the largest temples in Rome. No evidence was found of which god the temple was dedicated to, but ancient sources record two temples on the Quirinale Hill: a temple of Quirinus and the Capitolium Vetus sanctuary dedicated to the Capitoline Triad of Jupiter, Juno, Minerva. Underneath the temple remains was found the skeleton of a newborn infant dating to the 7th century B.C. The temple and the burial fit with what archaeologists believed the Quirinale area was used for in the archaic period: a sacred precinct with temples and a necropolis. The discovery of the domus upends that belief. “This building is basically absent in archaic Rome, and there are only traces in the Forum area. 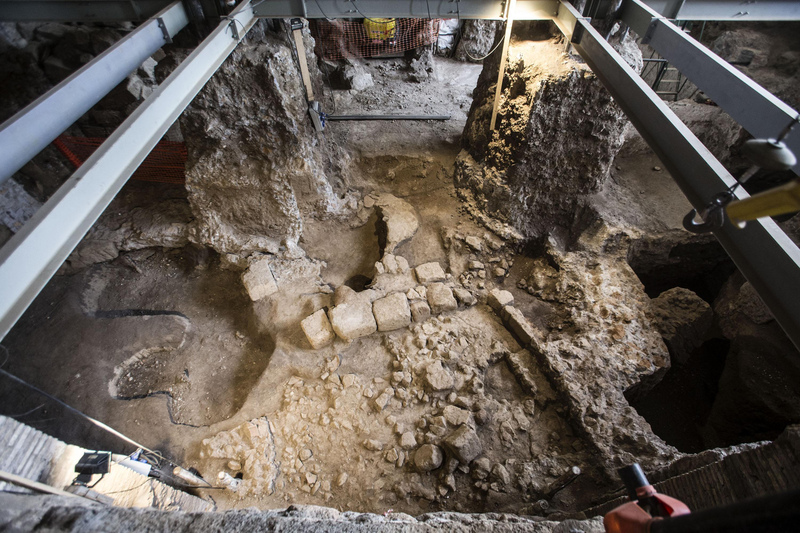 The home was probably used for about 50-60 years prior to when the temple was built that was discovered in 2013,” Mirella Serlorenzi said during a press visit, who directed the excavations on behalf of the superintendent’s office. Today the building is owned by the Cassa Depositi e Prestiti bank who are planning on using it for office space. It’s not certain what they’d do about the archaeological treasure in the basement, but it will not be infilled. Other palazzi in Rome have full-on archaeological museums underneath them, like the Palazzo Valentini, for example. This entry was posted on Sunday, September 13th, 2015 at 11:19 PM	and is filed under Ancient, Roma, Caput Mundi. You can follow any responses to this entry through the RSS 2.0 feed. You can skip to the end and leave a response. Pinging is currently not allowed. From what I understand, a first proper settlement was established about the beginning of the first Millenium BC. The much referred to ‘City on the Seven Hills’, however, also known as ‘Septimontium’, seemingly included ‘hills’ that were quite different from its later ‘classic’ definition: The Palatine Hill , Esquiline and Caelius, places in between -redefined as ‘hills’- and as it now seems, by the 6th Century BC, parts of the Quirinal. 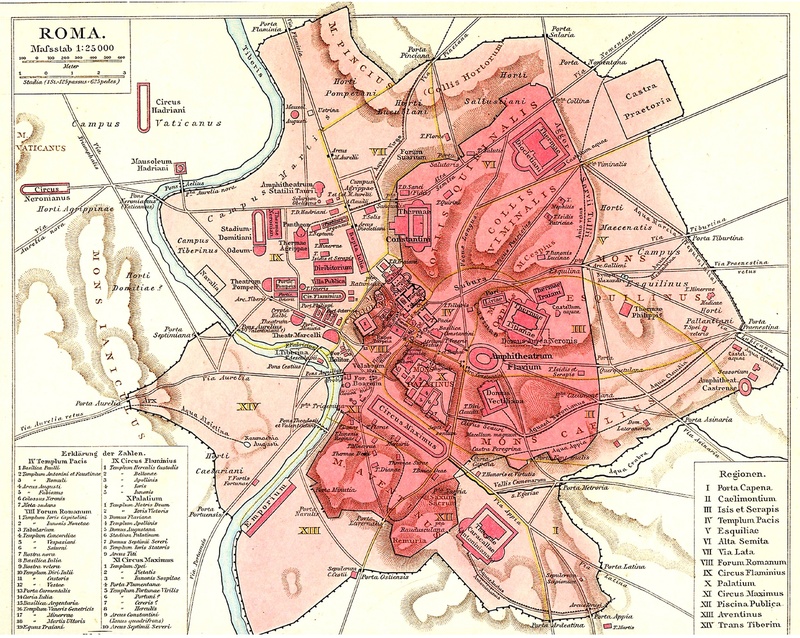 Shortly after the Celtic invasion in the 4th Century BC, the ‘Servian Wall’ was build, indeed enclosing the ‘dark red’ area from your map (the Quirinal zone being a former ‘necropolis’, a ‘necropolis with temple’ or ‘inhabited area’ ). Who knows if there was some kind of early ‘acropolis’, i.e. different from the later one on the ‘mons Capitol’ ? Any reason to believe that that might have been human sacrifice?